A photo from the 2012-2013 school year. 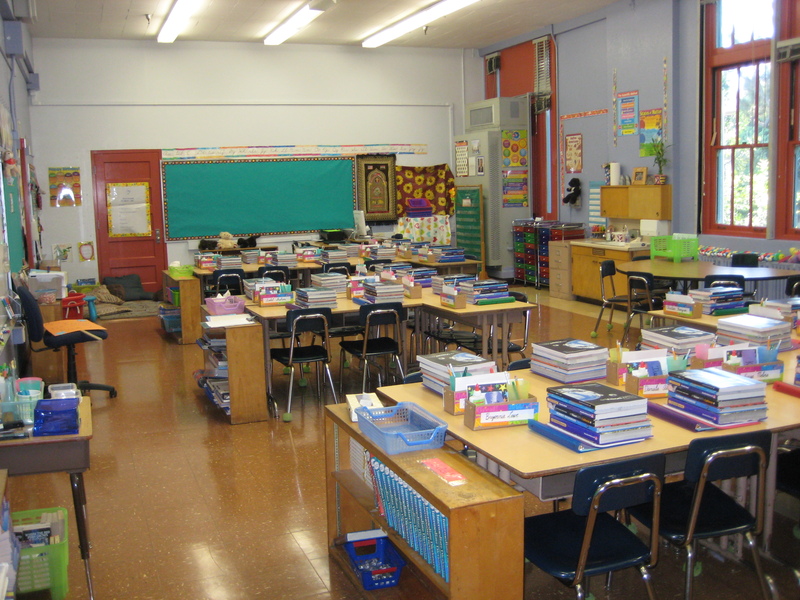 This was my fifth-grade classroom ready for the first day of school. I retired in 2013. My son’s last day of school is Friday. When the bell rings that afternoon, he will no longer be a third grader. We’ll say good-bye to his teacher and his classmates. In two months, he’ll go back to school as a fourth-grader. He won’t learn his teacher’s name until the first day of school. But for some parents, they already know. They are requesting specific teachers for their children. As a parent and former teacher, I don’t agree with this practice. To find out why, click here to read my essay, “A Lesson in Giving Up Control: Why Parents Shouldn’t Request Their Child’s Teacher,” on MomsLA.com.